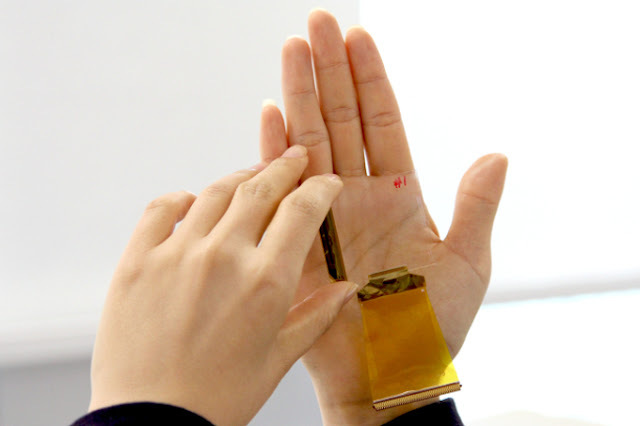 The fingerprint module maker CrucialTec said that it will start supplying onscreen fingerprint scanning solutions to global manufacturers this year. On screen, fingerprint scanning allows authentication on the finger prints on the screen itself thereby facilitating smartphone makers to ditch home button and go for beez-less design. Fingerprint sensors have become an integral part of smartphone design these days and the majority of the smartphones sport fingerprint scanner on the backside and few high-end models have the scanner embedded in the home button. With more smartphone makers opting for Beez-less designs, this breakthrough technology provides a solution to the makers to come up with more flexible device design. According to an official from CrucialTec, the company's onscreen fingerprint solution called the Display Fingerprint Solution or DFS has received a positive response from its clients in china and the first smartphones sporting the technology will be unveiled this year. The DFS module contains transparent components such as a thin film transistor and a sensing electrode that can be embedded under the smartphone screen.